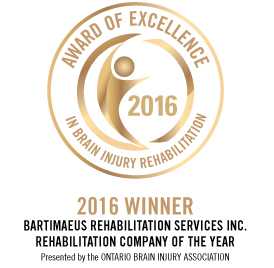 Providing direct therapy, transitional support and community integration to children, youth, adults and seniors recovering from an acquired brain injury and/or serious trauma. We specialize in supporting individuals who are exhibiting complex, moderate to severe behaviours. With over 30 years of service delivery we have access to the most comprehensive pool of experienced Rehabilitation Support Workers in the Province of Ontario, ensuring the very best match between the individual requiring support and the Rehabilitation Support Worker. We offer Rehabilitation Support Workers that speak over 25 languages: Akan, Ashanti, American Sign Language, Cantonese, Croatian, Dutch, Egyptian, Fante, Farsi, French, German, Greek, Hausa, Hindi, Italian, Korean, Mandarin, Philipino/Tagalog, Polish, Portugese, Punjabi, Romanian, Russian, Serbian, Spanish, Tamil, Twi, Urdu, Ukrainian, Yoruba. Our services are delivered province-wide, (see map to access service in your area), ensuring cost-efficient support and knowledge of local resources, assisting our clients in dealing with the challenges in their own environment and enabling them to achieve the very best recovery possible.